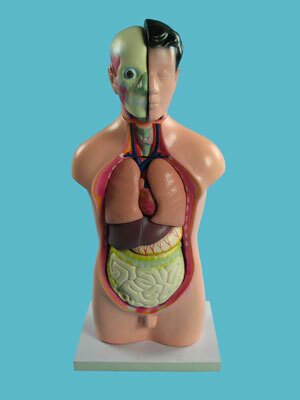 This plastic sexless human torso shows the respiratory, circulatory, digestive, nervous and urinary systems. 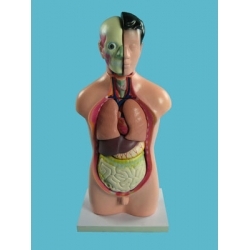 The lungs, heart, liver, stomach and intestines are easily removable for further examination. Comes mounted on a plastic base. This compact and durable model is ideal for biological science classes.